Save the Date – Kick Off Party! Kick Off Party: One Book, One Valley 2017! Celebrate with refreshments and local officials during the announcement and official proclamation of this year’s community read at the Bookworm of Edwards on Monday, January 23 @ 6:00 pm. Stay tuned for more exciting events! NOW, THEREFORE, we, Kim Langmaid, Council Member, Town of Vail; Jennie Fancher, Mayor, Town of Avon; George Brodin, Mayor Pro Tem, Town of Minturn; Kevin Brubeck, Trustee, Town of Eagle; Geoff Grimmer, Trustee, Town of Eagle; Anuschka Bales, Trustee, Town of Red Cliff; Kathy Chandler-Henry, Eagle County Commissioner; Jeanne McQueeney, Eagle County Commissioner, do hereby promote the One Book, One Valley initiative and officially announce and promote the novel “We Are Called to Rise” to all Eagle County residents for their enjoyment and the enjoyment of all. Avon, January 2016: What if everyone in Eagle Valley read the same book at the same time? During the next few months, local libraries, booksellers, and staff at Colorado Mountain College are encouraging the community to do just that by participating in the Fifth Annual One Book One Valley community-wide reading initiative. The book selected for 2016 will be officially announced on Thursday, January 14, at 6:00 pm during the kick-off party at the Avon Public Library. Across the nation, “One Book” programs take the idea of a localized book discussion club and expand it to invite the entire community to join the conversation. The goal of One Book One Valley is to promote a sense of community by sharing a common topic for conversation while deepening engagement in literature through reading and discussion. Free programs and discussion groups will be offered January through March at Eagle Valley Library District’s library branches and at the Vail Public Library. The culminating author event will take place at Colorado Mountain College. One Book One Valley is a collaborative program organized and offered by The Bookworm of Edwards, Colorado Mountain College, Eagle Valley Library District, and the Vail Public Library. Join the discussion and look for upcoming announcements on additional programs and events related to this year’s book selection. The One Book One Valley culminating author event has been re-scheduled for the evening of Tuesday, September 8 at 6 p.m. at Colorado Mountain College in Edwards. 2015’s book selection is The Cold Dish by Craig Johnson. Prior to this event, from 4:00-5:00 pm, there will be a special “Meet & Greet” with the author and folks may get their books autographed at that time. All of Craig’s books will be available for purchase at this event as well as later that evening. Join us as we visit with Craig Johnson, author of the best-selling Walt Longmire mystery novels as he discusses his inspiration, experiences, and success as a writer. Johnson’s novels have spurred the hit television drama, Longmire, starring Robert Taylor, Lou Diamond Phillips, and Katee Sackoff. The author will be available following the presentation for book signing. One Book One Valley is a collaborative program organized and offered by The Bookworm of Edwards, Colorado Mountain College, Eagle Valley Library District, and the Town of Vail Public Library. Join the discussion! Author Talk with Craig Johnson Cancelled! 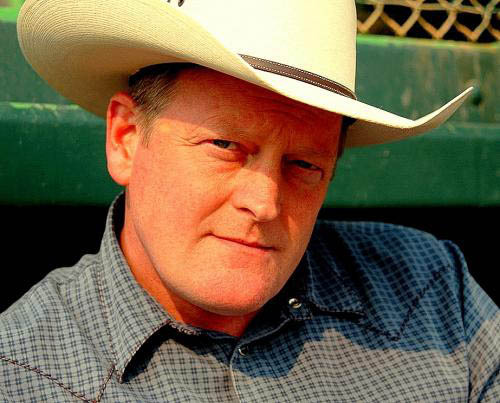 Author Craig Johnson will be unable to join us at Colorado Mountain College in Edwards for his scheduled author talk on Wednesday. His mother has taken seriously ill and he is en route to West Virginia to be with her. Craig sends his best regards and hopes to reschedule a visit to the Vail valley later this summer. In the mean time, our thoughts are with Craig and his family.